An integral member of the Eterna family of watches for over half a century, the story of the KonTiki is not a new one; but it’s a remarkable tale that bears repeating. 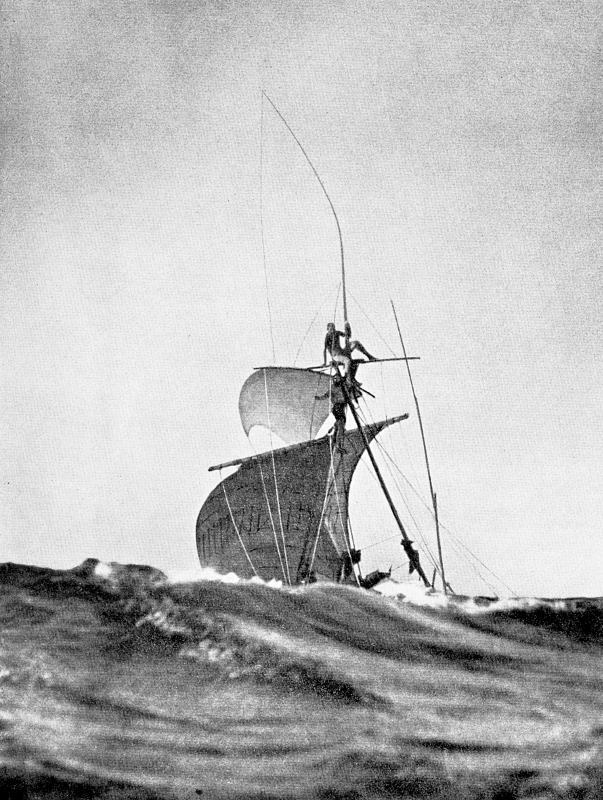 Winding back in time to 1947, history was about to be made by Norwegian explorer Thor Heyerdahl and his crew. They were looking to recreate the arduous journey of KonTiki, the ancient Peruvian god of the sun, and his followers to the distant islands of Polynesia on a balsawood raft, simply held together with hemp cordage and fitted with a large sail. 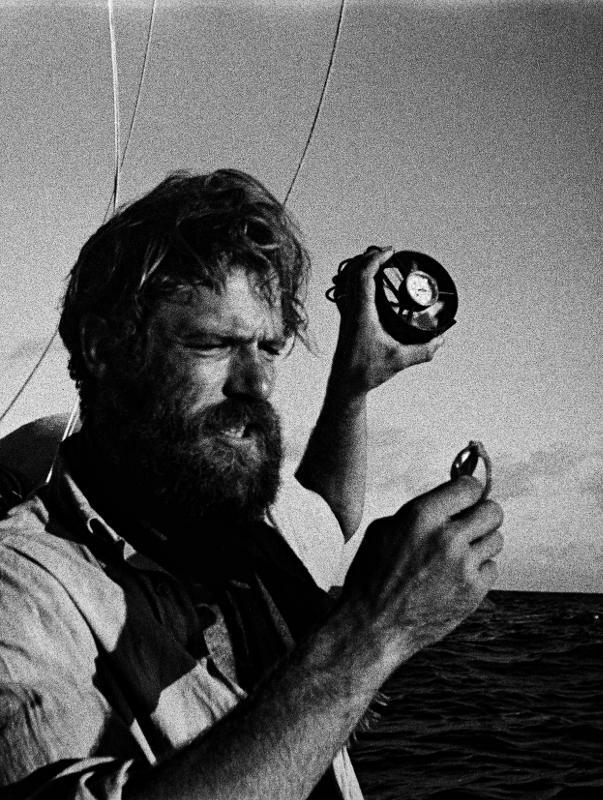 Wanting to keep this experiment as realistic as possible, there was nary a nail in sight, but there were six resilient Eterna wristwatches, specially designed to withstand the tough conditions of the daunting expedition. Eterna named it ‘Project KonTiki’ and while those six pieces remained as oneoff exclusive pieces, the seafaring spirit inspired the KonTiki sportswatch in 1958 and, as the collection grew, it quickly gained a strong following with its top-quality construction and precise movements. 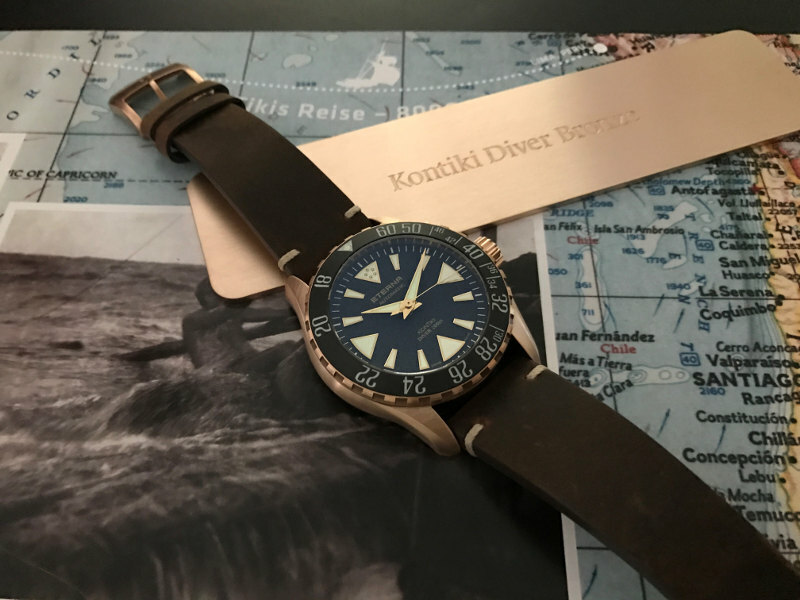 In lieu of the 70th anniversary of Heyerdahl’s voyage, the Grenchenbased watchmaker released the KonTiki Bronze Manufacture Limited Edition in 2017 that bears all the nautical hallmarks for a nostalgic piece. First, there’s the construction in bronze – a material well-known in watchmaking for its characteristic patina that develops over time to create an aged look befitting of a nautical adventurer. Atop the 44mm bronze case sits a unidirectional rotating black ceramic bezel with a no-decompression limits scale. It circles a granite-patterned dial that will excite vintage KonTiki admirers as luminous triangular ‘pizza slice’ indices in a hue that matches the bronze case are seen. Powering the three-hander is the in-house Calibre 3902A automatic movement that provides a generous 65 hours of autonomy – enough for you to embark on a mini maritime voyage brimming with Heyerdahl’s seafaring spirit. And before you set sail, it’s assuring to have a sturdy sail mate that’s water resistant to 200m deep, fitted a rich brown waterproof leather strap. 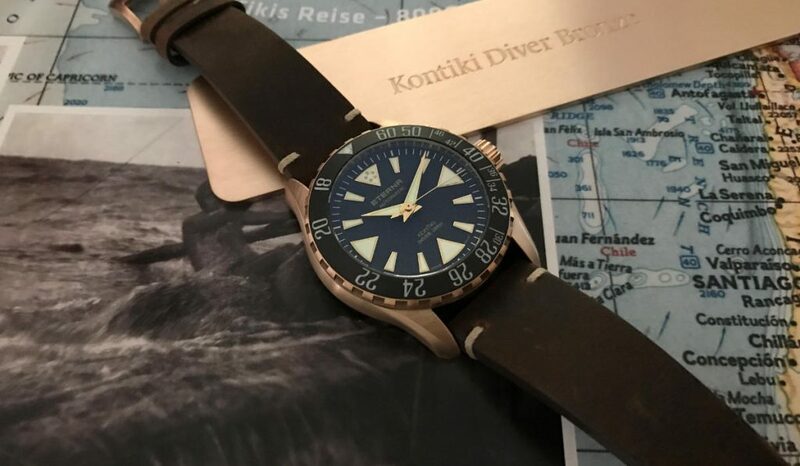 The Eterna KonTiki Bronze Manufacture Limited Edition is available as 300 exclusive pieces.